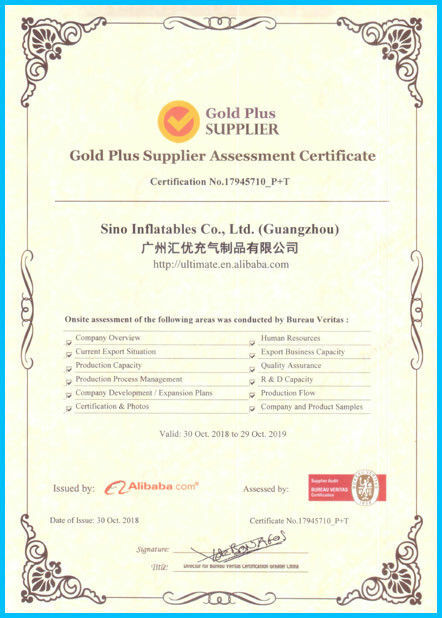 As one of the leading inflatable manufacturers in China, since founded, we has been endeavoring to improving our quality management, and has been specializing our quality's quality. 1) All of our stitching products are double and quadruple stitched with lead free heavy duty thread. 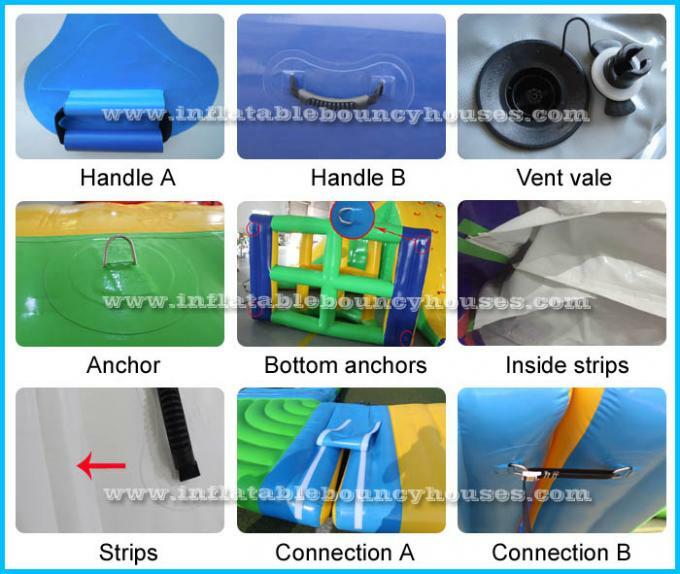 2) For our inflatable toys and interactive games, they are all of commercial quality, built with top quality flame retardant, water proof and certified lead free 610g/m2 (18 oz.) 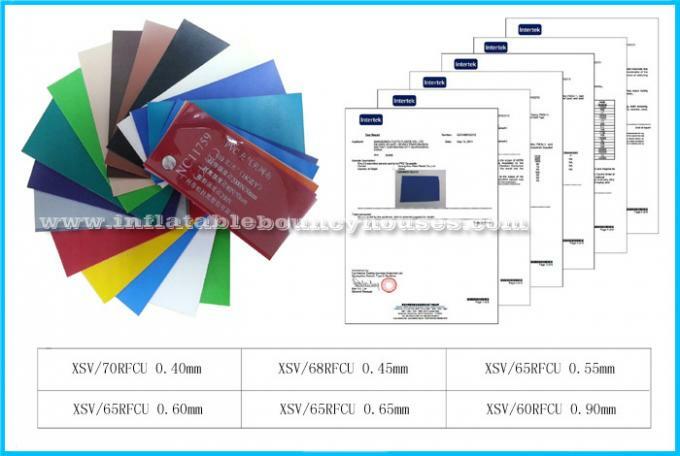 pvc tarpaulin (0.55mm, 1000D); What's more, for some special inflatables, we even apply 610g/m2 (19 oz.) or 1150g/m2 (34 oz.) pvc tarpaulin to ensure that the quality meets the top standard this field can reach. 3) Custom design is available and preferred. 4) Custom logo or banners will be painted or digital printed as required. 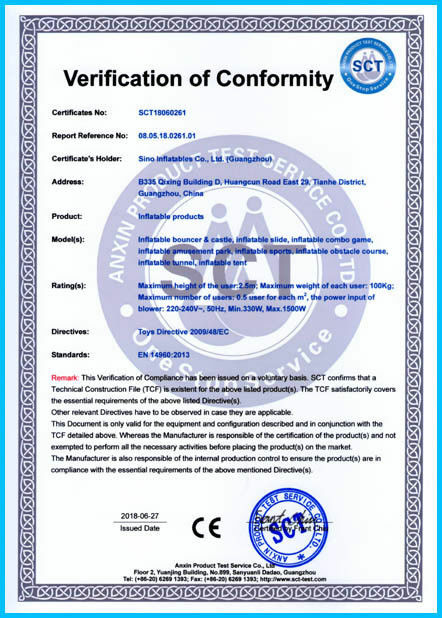 5) We provide 3 years limited warranty. 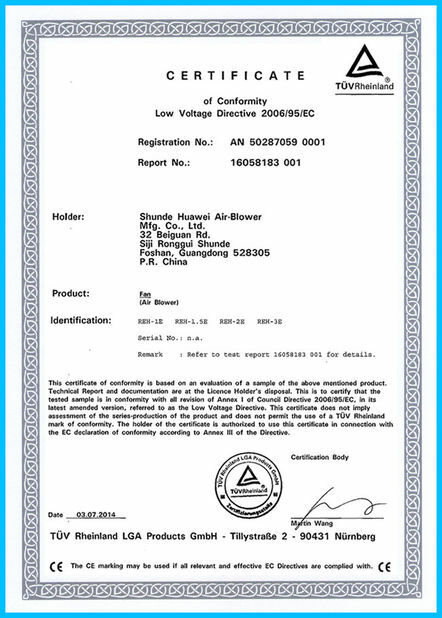 6) We'll affiliated sufficient certified blowers (CE / UL), with suitable plugs for different countries. 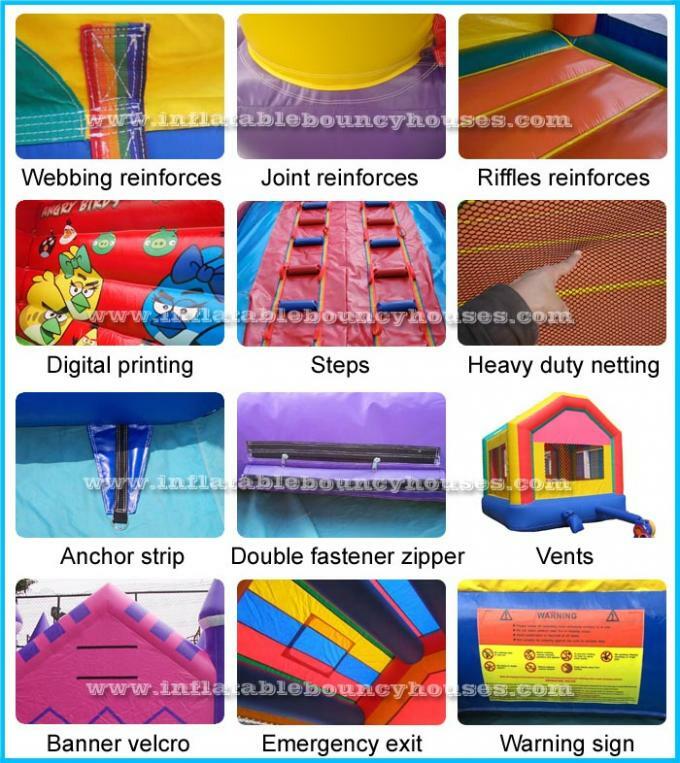 1) All of our air tight inflatables are heat welded by high temp. machine. 2) All the material for air tight inflatables are top quality 1150g/m2 (34 oz.) pvc tarpaulin (0.9mm, 1000D), and of course, 650g/m2 pvc tarpaulin is available. 3) Custom design is also available and preferred. 6) Pump: CE(220V, 50HZ) or UL(110V, 60HZ) blower and pump for different areawith related plug. 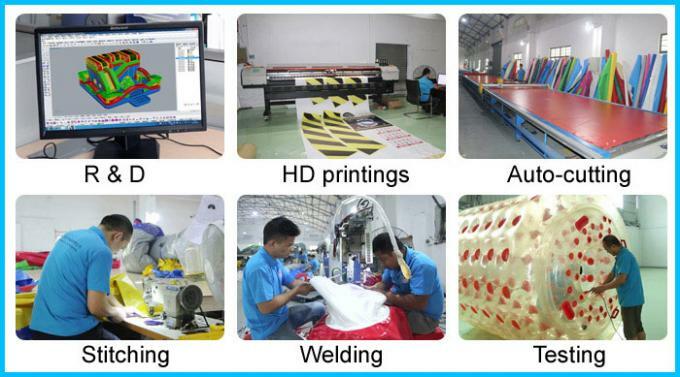 All of our stitching inflatables are stitched by high precision stitching machine with superexcellent 9 in one waterproof nylon threads, and like the following image shows, the length of every single stitching is around 4 mm which is the top standard in inflatable field; Most importantly, we always apply double stitching anywhere in the inflatables and quadruple stitching in positions sustaining much force and pressure from jumping. 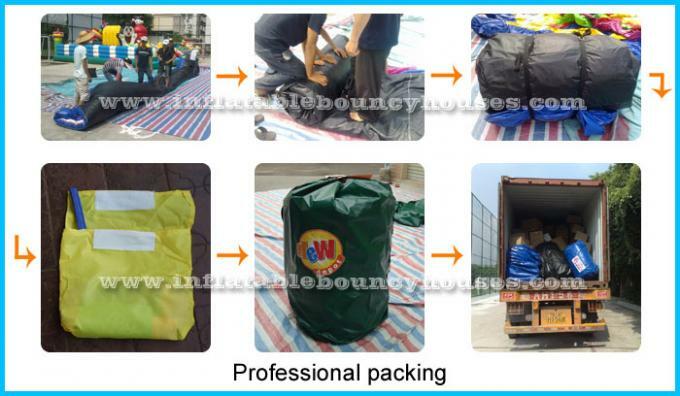 Based one our years experience, we always provide our customers the best packing like the following so it can provide much provenicence and save much time for our customers later, and even it can avoid wrong delivery or damage from the port careless or wrong operation. 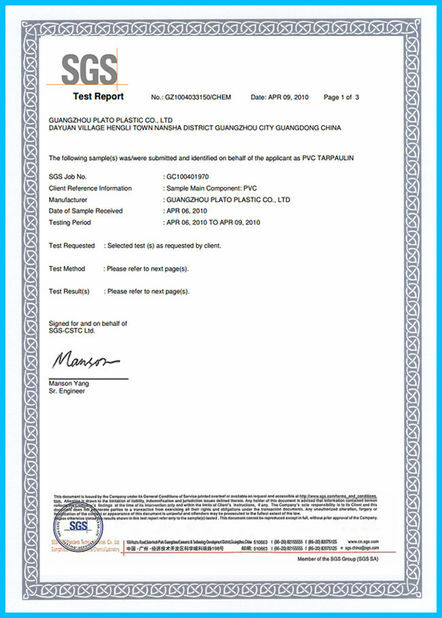 Issued By:TUV Rheinland (China) Ltd.